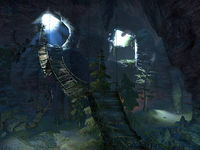 The series of caves known as Nikolvara's Kennel have long been home to wild packs of durzogs, but nearby residents now complain that the place has been overrun with the creatures. 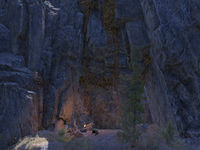 Nikolvara's Kennel is a cave southwest of Orsinium. Explore and clear Nikolvara's Kennel. Nikolvara's Kennel Explorer 5 Explore and clear Nikolvara's Kennel.